McGuffey’s Readers. Public school. Family prayers. In the 1800s, these were primary — and successful — strategies by which children learned to become Christians. Sunday school was developed to support what was already being done at home and in school. Today many churches still rely on the nineteenth-century model to encourage young people to become disciples of Christ. 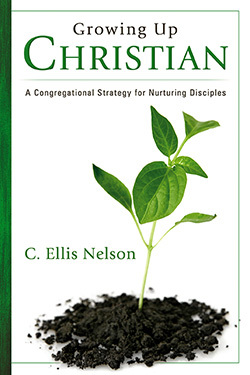 In Growing Up Christian, Dr. C. Ellis Nelson explores why these strategies are inadequate for the twenty-first century and offers practical, specific guidance for congregations who wish to nurture disciples of Christ more effectively. Part 1 describes the pattern of influences that form our images of God. Given the way culture and family influence the rising generation, Part 2 outlines a strategy for nurturing disciples that capitalizes on the persuasive power of the congregation in fellowship, worship, and instruction. A detailed discussion guide further assists congregations who wish to form a study group to assess and improve their Christian education. C. Ellis Nelson, research professor of Christian education at Austin Presbyterian Theological Seminary, has written many books and articles about the biblical and theological basis for Christian education. Dr. Nelson has been a research fellow at Oxford University and has lectured in many seminaries and universities in North America, Australia, and Europe. His book How Faith Matures was named one of the ten best religious books of 1989. Ellis Nelson has thought longer and better about Christian education than anyone else on the planet. After a lifetime as a distinguished church educator, this book offers what I take to be his "final answer" to the crisis of church education in a secular culture. Nelson thinks in large terms of a new cultural context wherein the infrastructure of church nurture has largely disintegrated. Nelson urges that in the twenty-first century fresh ways of nurture, socialization, and incorporation must be undertaken with careful intentionality. He focuses on the informal influences of home, family, and church community and on the formal influences of educational and liturgic enterprises. Nelson knows how "up hill" such a venture now is; but he also knows, full well, that Christian nurture matches profound human hungers, and so we do not lose heart. Nelson as a practical theologian thinks practically in a way that will support and summon other educational practitioners. His "final word" is a splendid, powerful, grace-filled word. C. Ellis Nelson has spent a lifetime thinking deeply about how children, youth and adults are nurtured in Christian faith and its way of life. This new book is full of wisdom concerning this crucial question. The congregation as a whole is the key. Parents, pastors and teachers all have crucial roles to play. Nelson shows how we can all work together to nurture Christian disciples in the twenty-first century. Growing Up Christian is a wise, practical, and highly readable book. Ellis Nelson explains with remarkable clarity why current strategies for nurturing disciples are inadequate and examines with keen insight the influence of parents and congregations in the development of the idea of God among children and youth and their roles in nurturing young people as disciples of Jesus Christ. This is an important book for pastors, Christian educators, parents, and congregational leaders concerned about the future of the faith of our children and the vitality of the faith of our congregations. I especially recommend they read it together. Drawing on a lifetime of experience, research, and parish ministry, Ellis Nelson offers a new model for youth ministry. It is based on a systemic view that incorporates not only the various dimensions of human personhood and maturation, but also those of family, congregational life, and our culture in general. Building first a solid philosophical, sociological, psychological, and theological foundation, Nelson describes for churches, ministers, and parents both the "what to do" and the "how to" of a ministry that will nurture youth from childhood toward mature Christian adulthood. Combining theory and practice, Elllis Nelson has provided an outstanding guide for congregations to plan a comprehensive strategy for educational ministry. Forty years ago Ellis led us in reclaiming the community of faith as the primary setting for the formation of faith. 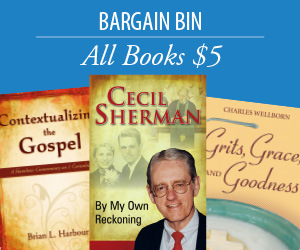 Since that time, his work has inspired us to consider the faithfulness of the church and its commitment to ministry. This book fulfills the promises of that research guiding us to embody Christian education fully in life of faithful congregations.